KUALA LUMPUR (May 8): Oil and gas consultancy firm FGE founder and chairman Dr Fereidun Fesharaki forecasts that a production cut till year-end by OPEC and several non-OPEC members is still not going to be sufficient in stabilising oil prices at US$50-US$60 a barrel, as inventory is expected to continue to rise from a build-up of US volumes. As such, Fesharaki warned that crude oil has a downside risk of declining to as low as US$40 per barrel. "OPEC has done a remarkable job in compliance with agreed cuts. The policy is balanced between market share and market management, while demand growth was very solid at 1.5 to 1.6 million barrels per day, helping a move towards a balance. 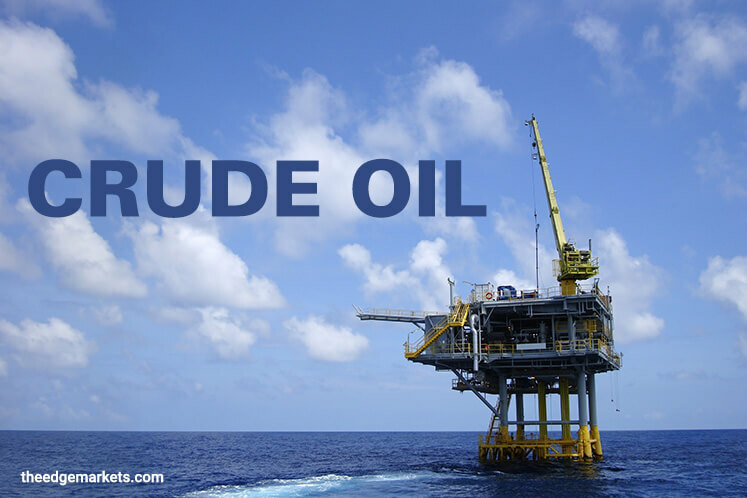 "Oil prices of US$50 to US$60 per barrel might be sustainable. However, with the buildup in US volume higher than expected, there is a downside risk of prices sinking to the low US$40s over the next 12 months," he told the audience at the 19th Asia Oil & Gas Conference 2017 today. "[So] extending [the cut] to end of the year is not enough," Fesharaki said. "It needs to be longer and [with] more cuts, maybe another 500,000 to 700,000 barrels a day," he added. However, Fesharaki is also concerned that rising production from the US oil supplies, coupled with prolonged weaker demand, would result in OPEC giving up on market management. "The market is watching carefully [for] when the buildup of inventory stops and draws begin. OPEC's dilemma now is that if oil prices go above US$60 per barrel, demand will weaken and new supplies will appear. What if prices stay below US$50 per barrel? More cuts? Who will cut?" he asked. Earlier today, Saudi Arabia's minister of energy, industry and mineral resources Khalid Al-Falih said the agreement between OPEC — which stands for the Organization of Petroleum Exporting Countries — and non-OPEC producers, could be extended to the second half of the year, and beyond. The agreement, implemented on Jan 1, sought to cut production by 1.2 million barrels per day for the first half of 2017, with non-OPEC countries agreeing to cut output by 556,000 barrels per day. At a press conference later, Petroliam Nasional Bhd (Petronas) president and CEO Datuk Wan Zulkiflee Wan Ariffin said the state-owned oil producer is committed to continue with the agreed production cut, in the event the arrangement is extended. Meanwhile, Kalid had noted that certain factors have slowed the impact of production cuts, namely the slow season of demand, planned refinery maintenance in the US, growth in non-OPEC supply — especially in the US — and the actions of financial players in the market. "All of these have slowed the impact from the recent production cut exercise by 24 countries that joined together on Dec 10 last year. "I do believe, however, that the worst is clearly behind us. With multiple leading indicators showing that supply and demand balance is in deficit, the market is moving towards rebalancing. We expect a healthier market going forward," he said.